When spring comes around, at least for me, it’s the beginning of comic-convention season. It’s exciting and stressful. This year is going to be a little different for me. I am doing some shows as a vendor with Aw Yeah Comics, along with being a guest at several shows. Then at some shows I’m just moderating panels all weekend. I guess I can’t quite decide what I love to do best so I just keep doing everything. I love setting up at shows, I love selling my own comics and talking to fans, I love getting to meet all different types of people, and I love seeing my friends. Comics is such a wonderful arena to be involved with, and everyday I learn something else that makes me love it even more. This weekend I will be at Gem City Comic Con both as a vendor and a guest. It’s the first comic convention of the year for me (I went to a toy show a few weeks ago) and I am so excited. This show is always so great! And I get to see Kyle Starks, Thom Zahler, Barry Kitson and so many more PLUS hang out with my besties! However, there are comics and stuff to be read and talked about, so here goes! 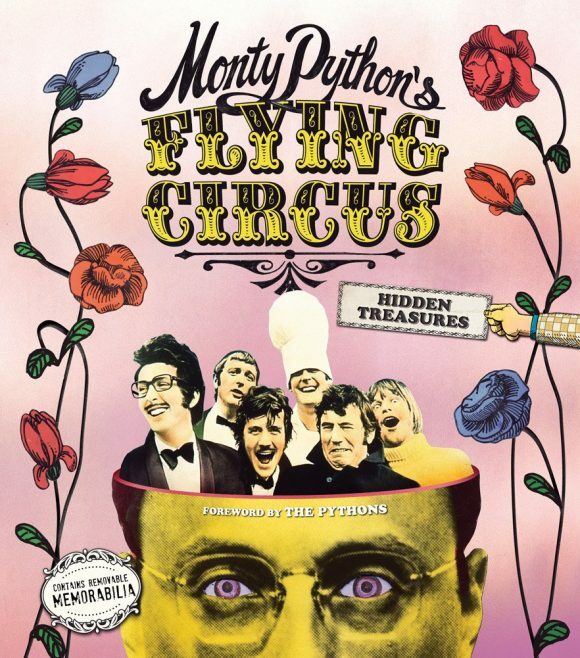 Monty Python’s Flying Circus: Hidden Treasures. If you are a Python fan — and if you aren’t you should be — then you will LOVE this book. In addition to the information in the book, there are memorabilia bits, including skits that they never aired and more. This is definitely not a dead parrot or a lumberjack but it will make you want to do the fish-slapping dance. Check it out! Next, also not a comic but comic art is IDW’s Gabriel Rodriguez’ Locke & Key Covers Artist’s Edition Covers Portfolio. (Click here for a close-up look.) 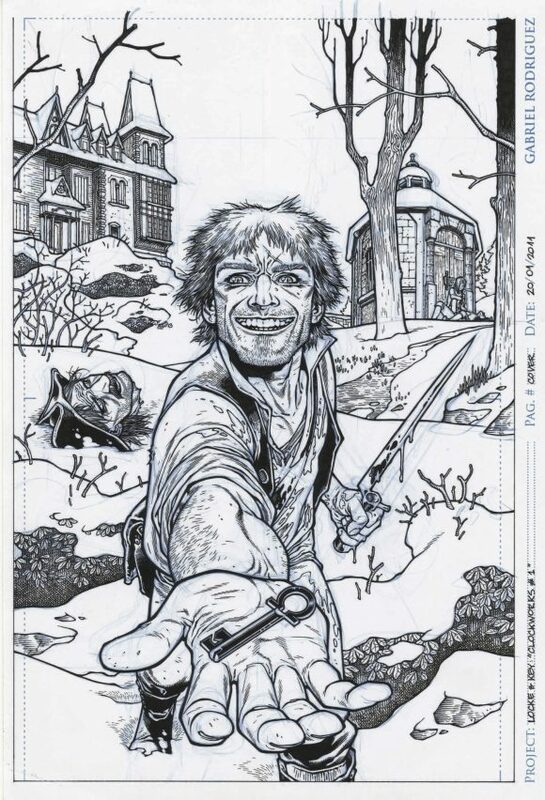 Yes, I am a sucker for anything Locke & Key. I love this series — both the art and story are perfect. I have probably every version of this series on my Locke & Key shelf at home. This series is right up there with Saga of the Swamp Thing and Y: The Last Man for me. Trust me on this and read this series if you haven’t. Finally, from DC comes the Green Lantern/Space Ghost special by James Tynion IV, Christopher Sebela, Howard Chaykin, Ariel Olivetti, Wil Quintana, and some kind of wonderful magic that makes this so super wonderful! It’s like a space-cop buddy team-up science-fiction mystery story that I want more of. Like, now. And while all the art is incredible, Olivetti’s work is SO crazy good. 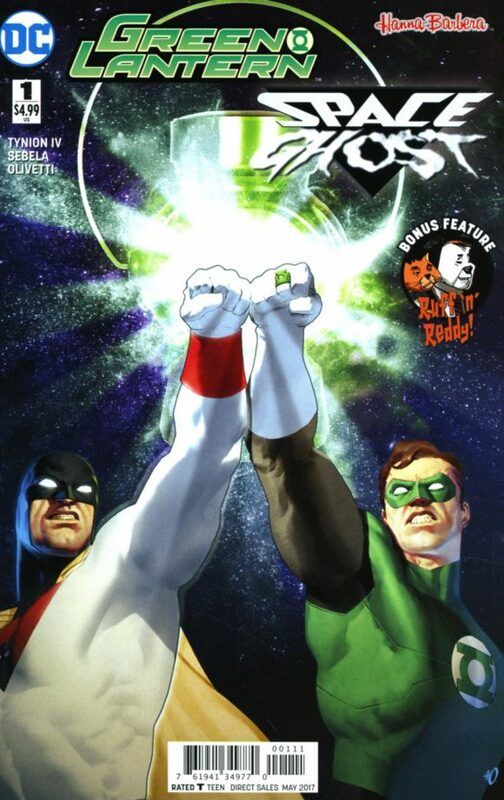 Even if you aren’t a fan of team-ups, give this one a shot. It’s totally worth it! Lightning Round! Image Plus #12. I know this is not a comic but this magazine has SO much information in it. PLUS, there’s more Negan. And who doesn’t want that. … Marvel’s Al Ewing and Ryan Sook bring us Inhumans Prime #1, which is a great book to read if you want to start Inhumans but didn’t know what to read. And I love the royal family, so more please! … Si Spurrier, Conor Boyle, Giulia Brusco and Titan have Hookjaw #4 out (only one to go!). I am hooked (pun intended) on this series! Of course, I will read anything with sharks in it. That’s it for this week! I’m off to the show for the weekend! I hope you all have been reading some great books and visiting your local comic shops. Don’t forget to check what your local shops have going on for Free Comic Book Day on May 6! Best day of the year! Until next week, be kind to each other and keep reading comics! 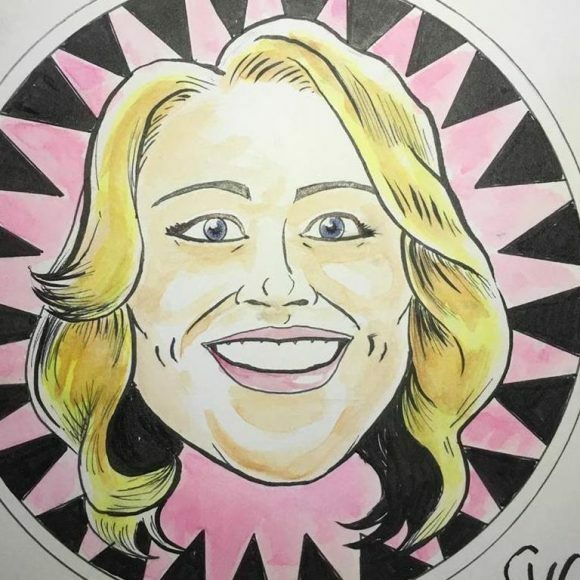 Columnist Dr. Christy Blanch writes LAST WEEK’S COMICS TODAY for 13th Dimension. She also operates Aw Yeah Comics in Muncie, Ind.